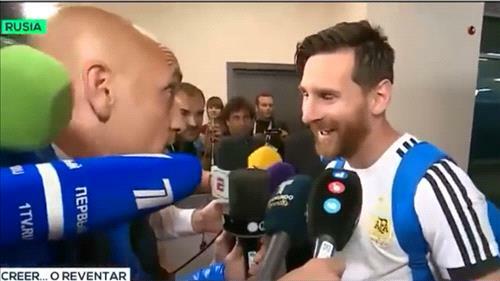 AMMONNEWS - After Argentina’s much needed win against Nigeria on Tuesday with a close score of 2-1, among a hoard of journalists interviewing Lionel Messi, one very randomly asked if the football star had kept a amulet that he had given him 11 days ago. The reporter had given Messi a handmade bracelet made by his mother after Argentina’s game with Iceland. “I don’t know if you threw it away or something...” the reporter told Messi. Much to the amazement of the reporter, Messi then says “look at this” before pulling down his sock to reveal the amulet around his left ankle.